Apartments "Babylon Apartments on Dubinsky" are located in the Rivne brewery area. The apartment is equipped with everything necessary for comfortable living: roomy furniture, necessary appliances, double bed and sofa with orthopedic mattresses, TV, free Wi-Fi zone. At guests disposal is a cozy kitchen with all accessories, a bathroom with round the clock water supply. Near the house there is parking. In close proximity to the apartments "Babylon Apartments on DubinskyNova" is located a mini market, a pizzeria, cafes and restaurants. The distance to the railway station is 1.7 km, to the city center - 4.1 km. 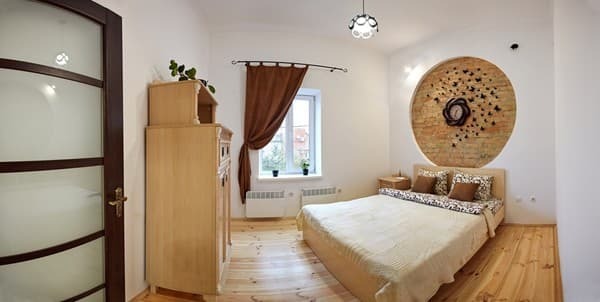 Description of the room: One bedroom apartment with the necessary udobsvami. The apartment has a kitchen, guests can cook on their own. In the walking distance from the house there is a pizzeria, cafes, restaurants and shops. 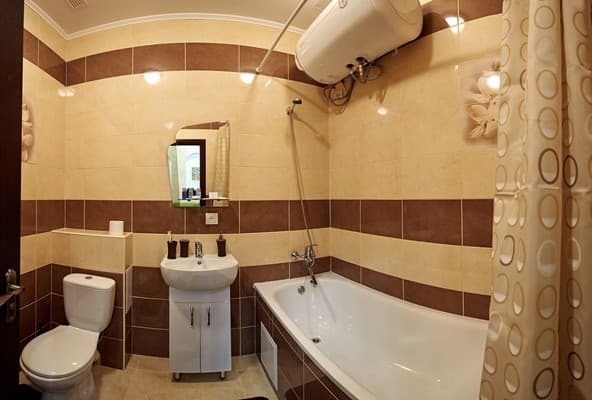 Apartments "Babylon Apartments on Dubinsky New" are located in the brewery area of ​​Rivne. The distance to the railway station is 1.7 km, to the city center - 4.1 km. 200 meters from the stop "Brewery".